In the introduction to their excellent edited collection on film location, Taking Place, Elena Gorfinkel and John David Rhodes make a very sharp point about the fact that local specificity is not an alternative to ‘generalizing thought’ but a vital constituent of it. As they explain, ‘place, in its specific concreteness, does not act as a hurdle to abstract and generalizing thought but instead is the means through which such thought is able to articulate and materialise itself’. The Cinema of the Swimming Pool, edited by Christopher Brown and Pam Hirsch (Bern: Peter Lang, 2014), certainly begins to live up to this, even if its individual chapters often seem curtailed in their attempts to fully execute the process described by Gorfinkel and Rhodes. 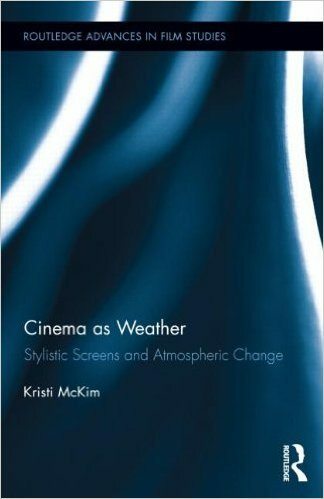 Meanwhile, Kristi McKim’s Cinema as Weather: Stylistic Screens and Atmospheric Change (New York: Routledge, 2013) serves to remind us that ‘concreteness’ may not be the most helpful or valid way to imagine space and locality in cinema. On this point, McKim seems to have struck upon a valuable means of reconciling materiality and ephemerality, qualities which so often pull in opposite directions when we try to talk and write about cinema. 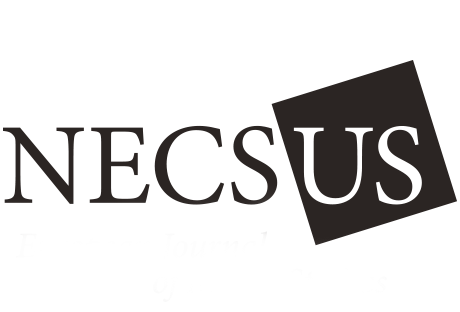 The Cinema of the Swimming Pool is the latest addition to the series New Studies in European Cinema, a series that has generally moved between questions of national cinema and questions of space and place (often within the same volume). It arrives shortly after Fiona Handyside’s edition Cinema at the Shore, a study of the beach in French cinema. While they might seem on paper like similar projects, the differences are telling. Handyside has the space to write about film in a way that gradually earns its somewhat idiosyncratic topic; Brown’s and Hirsch’s edited volume is inevitably more flighty. Following the introduction, there are seventeen chapters in little over 200 pages. That introduction in fact does very well to identify the most salient patterns of interest in the collection; it goes beyond claiming that swimming pools constitute a ‘dynamic and exciting cinematic space’ (p. 20) and helpfully draws out the book’s recurrent motifs, including: the private and the public, artifice and nature, emptiness, trauma, spectacle and sexuality. So it is a little surprising that the chapters are not arranged thematically. Given that no historical thesis can really be developed, the chronological ordering feels redundant. This is not to say that the book is light on film-historical insights. Chris O’Rourke’s opening chapter, for example, is especially well-grounded in a particular socio-historical context. The author traces the crucial transition in late 19th and early 20th century Britain swimming pools and the shifting emphasis from hygiene to recreation. Cinema is seen as materially-embedded in that story (many pools were periodically converted into film theatres for educational screenings) and reflective of it at the level of content – not least in newsreels. An excellent chapter on Cat People (Jacques Tourneur, 1942) provides one of the book’s highlights. In it, Alex Naylor locates the film generically and draws out some interesting general insights – that horror has tended to utilise ‘open water’ more than swimming pools, for example. This is also a story of filmmaking practice, and it is fascinating to learn that in Tourner’s famously economical production a full two days on the shooting schedule was given over to recording sound effects at an indoor pool. At the heart of Naylor’s analysis is a very subtle appreciation of how the pool scene functions dramatically, and it is one of the book’s most convincing demonstrations of how location-focused study can prompt incisive combinations of film history, theory, and interpretation. The studies are generally less successful when the historical net is cast widely and too much is asked (methodologically) of the swimming pool connection. Edward Saunders, for example, writes about the cinematic swimming pool in German cinema; his focus on Berlin pools develops some very interesting hypotheses regarding the performance of historical change, as if the pool might function as a chronotope of sorts, but it is never quite clear enough (apart from a brief and insightful discussion of the motif of comparison) what specifically the swimming pool site offers at a given point in German film history. Another trans-historical study focuses on Hollywood comedy, in particular on The Philadelphia Story (George Cukor, 1940) and Legally Blonde (Robert Luketic, 2001). There is some excellent attention to aesthetic and narrational patterns in these films (for example, in The Philadelphia Story, how verbal references to the pool massively outnumber actual glimpses of it), but a sense of disjuncture between the scope of these insights and the ambitious historical claims being made – that swimming pools played a ‘vital role’ in Hollywood comedies from the 1930s onwards. If genre and national cinema struggle to always function as sufficient conceptual anchors then film authorship proves more successful. There are two excellent chapters on directors in The Cinema of the Swimming Pool: on the work of Lucrecia Martel and Michelangelo Antonioni. Sophie Mayer’s ostensible focus in her chapter on Martel is about the director’s extraordinary use of sound, but her treatment of the films is a good deal more comprehensive than this might suggest. Swimming pools here are not just surprisingly significant but absolutely central to the thematic and aesthetic concerns of a major contemporary filmmaker (extracts from interviews suggest that Martel is probably, of all the directors discussed in the book, the most consciously interested in the cinematic potential of swimming pools). Axel Andersson argues that Antonioni’s swimming pools can only be understood in relation to his career-long engagement with water and beyond that his thematic concerns with artificiality and exteriority. There are beautiful evocations and descriptions here of Antonioni’s environmental aesthetic. For example, in his films, while the river ‘is a place of slow erasure, the sea is an agent of instant cancellation’ (p. 82). All this leads towards a very sharp consideration of Zabriskie Point (1970), which Andersson sees as a kind of culmination of the director’s concerns with human-water engagements. By the time we get to Zabriskie Point the swimming pool ‘is an object that no longer means anything’ (p. 86). It would be flippant to claim this as the most illuminating insight in the book, but it comes close. At the very least, almost all of the contributions here succeed in arguing for how and why swimming pools take on a rich and complex significance in certain films, including Deep End (Jerzy Skolimowski, 1970), The Last Picture Show (Peter Bogdanovich, 1971), Morvern Callar (Lynne Ramsay, 2002), and The Swimmer (Frank Perry, 1968). Some close readings are beautifully executed, as is Emma Wilson on Water Lilies (Céline Sciamma, 2007). Wilson’s description of that film as a work of ‘tight sensory control’ (p. 212) reminds that many of the films under discussion are similarly ‘tight’ (it is a description that would also apply to Michael Haneke’s Caché  and Yorgos Lanthimos’s Dogtooth , both of whose mysterious swimming sequences I would have enjoyed learning more about in this volume). Consequently, there is something quite refreshing and liberating in Matilda Mroz’s characterisation of Andrei Tarkovsky’s Nostalghia (2003) in a chapter titled ‘The Aesthetics of Overflow’. Mroz’s ambitious discussion of temporality and liquidity is never obscure, and despite the philosophical and theoretical reach of her analysis (in which we come across Bergson, Deleuze, Barthes, and others) she is impressively attendant to the dramatic logic of Tarkovsky’s film. Had this been the final chapter Cinema and the Swimming Pool would end with a strong sense of a swimming pool’s capacity for guiding and disrupting our engagement with particular films and bodies of work. Instead, ‘The Aesthetics of Overflow’ gets lost in a busy and rather scattershot collection, albeit one that has more than its fair share of thorough and original film study. While neither book is particularly explicit in its engagement with ecocritical scholarship they seem to share Nadia Bozak’s working assumption that cinema is ‘shot through with an ecological loop’. Without really advertising the fact, they both represent interesting variations on landscape studies – The Cinema of the Swimming Pool by way of an unusually narrow focus on a particular element of the built landscape, and Cinema as Weather by insisting that our very understanding of what constitutes a ‘landscape’ also consider, in McKim’s words, ‘atmospheric dynamism and change’ (p. 34). In the early stages of the latter book there is a wave of enthusiasm, almost as if the author cannot quite believe that this crucial omnipresent quality of the world has barely been attended to in film studies (McKim quotes of a wonderful passage from The Arcades Project, in which Benjamin considers the irony of mankind’s general disinterest in something so vital). How best to fill this disciplinary gap? Perhaps McKim was undecided, as the book tends to veer somewhat from one approach to another; it is almost an unapologetically cinephilic account, but not quite. Chapter One, for example, reminds us that the scientific developments contemporaneous to the birth of cinema were not only optical but also meteorological – the first International Cloud Atlas was published in 1896. Shortly after, there is a very neat critique of early film theory and its tendency to overstate the static nature of a physical landscape. There is then a brief rendition of Hollywood’s emergence and the significance of weather to its novel industrial model. Not long after, McKim turns to Descartes and the atmospheric vacuum posited by most conceptions of subjectivity. I think that most readers are likely to find each ‘pathway’ such as this very engaging, not least because McKim’s range of reference is both impressive and imaginative. However, cumulatively, they do betray a certain indecision regarding the book’s project. The first 40 pages include a number of attempts to summarise the key claims and methodological approach of the book, but they tend to reflect where the discussion is at that specific point rather than articulate a consistent undercurrent of thought. In truth, there is a great deal about this subject that seems to demand a supple and mutable manner of study, and to a large extent the book indeed benefits from McKim’s willingness to imagine the profound implications – regarding film history, film narrative, and film theory – of a more sensitive attention to weather. In general, the passages of textual analysis and interpretation are a real pleasure and the engagement with film theory confident and illuminating. Still, a few too many questions remain about the actual constituency of McKim’s central claims. For example, if we accept the invitation to think of cinema as weather, what becomes of the diegetic, fictional weather which is so eloquently engaged with in many parts of the book? Or, the suggestion later on that weather might be thought of as a kind of cinema within cinema. The loose analogies made between cinematic and meteorological spectatorship tend to be convenient rather than convincing. One of the key strengths of Cinema as Weather as a contribution to ecocritical film studies is the care with which it treats the narrational capacities of rain, snow, wind, and sun (on George Stevens’ Alice Adams , McKim writes rather beautifully that ‘weather quietly narrates the film’s pressured moments’ [p. 3]). One can imagine writing a book on this topic and striving to transcend pathetic-fallacy niceties by constantly reading against a film’s storytelling – a trap the author here carefully avoids. Some of the book’s standout passages are when attention turns from questions of ontology to details of film storytelling; for example, the fact that George in It’s a Wonderful Life (Frank Capra, 1946) does not seem to notice the snow, which McKim convincingly describes as signalling the spectator’s ‘spectatorial transition between George’s hypothetical nightmare and George’s thrilling new reality’ (p. 144). Nuri Bilge Ceylan’s Climates (2006) is shown to wrong-foot us with its titular invitation to metaphorical interpretations. As McKim illustrates, the film in fact ‘mocks the iconography of cinematic seasons by forcing us to contend with the beautiful cinematic seasonal conveyance … in tension with the fraught narrative progression’ (p. 178). The book is generously populated with these sorts of insights – lines of thought that spring from but are not limited to the uncommon parameters of the topic. Another successful strategy is the individual care given to different weatherly qualities. Some readers may have thought that a study of cinematic weather is sufficiently particular to begin with, but McKim’s chapters on rain and snow fully earn their keep. In particular, there are some deft points made about the relationship between rain and continuity: for example, the famous slow-motion sequences in In the Mood For Love (Wong Kar Wai, 2000) feature rain-sound that is not in slow motion; and McKim also shows how important rainwater has been to our sense of the compositional fluidity of F.W. Muranu’s The Last Laugh (1924). Snow, meanwhile, is shown to operate more fully as a temporal agent; it ‘falls quietly, accumulating in its fragility and evoking cinema’s ephemerality and visibility’ (p. 134). Falling snow seems to turn into a way of seeing. It is not lost on McKim that the one glimpse we are granted of Charles Foster Kane’s subjectivity is an image of snow. Readings such as these make good on McKim’s promise to develop a phenomenological study of cinema and weather. Her discussions elsewhere in the book of weather as factor in film production are really asides to this, and it is a shame that they sometimes threaten to compromise the distinctiveness of Cinema as Weather as a bold and original joining of phenomenological film theory and ecocritical study. It is surely through this approach that McKim succeeds in ‘reclaiming weather talk from its denigrated status as petty chatter’ (p. 186). In his recent book on the new cinephilia, Girish Shambu talks about the opportunities and distinctiveness of microcriticism, in which impressions and nascent ideas can be shared and circulated even if they have not quite developed into comprehensive critical, theoretical, or film-historical theses. In the examples Shambu gives, these brief capsules adopt an approach and tone we associate with ‘traditional’ cinephilia – an enthusiastic attention to what Christian Keathley calls the ‘sensuous experience of materiality in time’. Shambu makes a convincing case for how contemporary online cinephilia is particularly well-equipped – through Tumblr, Twitter, and other platforms – for facilitating this manner of film criticism and study. To take one of potentially hundreds of examples, Matthew Flanagan’s blog Landscape Suicide is a beautifully-organised collection of film stills and quotes, with curation that seems closer to the moment of enraptured spectatorship than it does subsequent evaluation or theorisation. Shambu is cautious about the potential naiveté of his position, but his book is to a large extent a positive and optimistic work. Considering that cinephilia is often prone to bouts of nostalgia, it is very encouraging that one of today’s most prominent cinephiles is so enthusiastically engaged with the present and immediate future of film culture (on this point and others, Shambu’s debt to Adrian Martin and Jonathan Rosenbaum is clear). However, the book inadvertently raises some uncomfortable truths about more conventional modes and methods of film scholarship; in particular, how film studies as an academic discipline engages with what we might call ‘cinephilic matter’ – micro-details of performance and camera movement, or the elusive nature of decoupage, or the extra-narrative pleasures offered by cinema’s documentary capacities. Shambu’s account paints a largely convincing portrait of how online microcriticism is currently proving itself a natural home for such conversations. Neither of the books under review can be reasonably described as cinephilic film writing. However, the basic premise of both – that we should attend more closely to material aspects of film worlds which have been largely overlooked – has a certain cinephilic spirit to it (McKim addresses this lineage directly). A question then emerges about the format of these works; is 200 pages of historically-contextualised examples the best way to ‘make good’ on those originating impulses? In the film culture landscape sketched out by Shambu, are these not the kinds of insights which are finding vivid and provocative expression in formats other than the monograph and the essay? I raise these questions tentatively, and not as a criticism of the authors and editors in question. After all, both books remind us of the considerable benefits of ‘conventional’ scholarly writing and editing, and I am perhaps guilty of projecting onto them a cinephilic project of my own imagining. As film studies continues to expand its explorations of various platforms and formats the appearance of new studies on topics such as these cannot help but prompt some basic queries about the relative appropriateness of the book as a means of organising and presenting certain critical ideas about moving-image narratives. It is surely to the credit of both books that they leave the reader keen to engage with the films under discussion in a much more direct fashion. Bozak, N. The cinematic footprint: Lights, camera, natural resources. New Brunswick: Rutgers University Press, 2012. Gorfinkel, E. and Rhodes, J.D. Taking place: Location and the moving image. Minneapolis: University of Minnesota Press, 2011. Handyside, F. Cinema at the shore: The beach in French film. Bern: Peter Lang, 2014. Keathley, C. Cinephilia and history, or the wind in the tress. Bloomington: Indiana University Press, 2006. Shambu, G. The new cinephilia. Montreal: Caboose, 2014. Gorfinkel & Rhodes 2011, p. xv.